$168 (48% off) to buy Hey Hey Kitchen Luxury Dinner Set for 1 person (original price:$328) * Min. redeem 2 voucher *Subject to $28 additional service charges per person, pay to restaurant by cash upon redemption Restaurant Introduction： Hey Hey Kitchen serves a variety of Chinese dishes, such as braised pork with preserved vegetable, stir-fried beef with onion and scallion, and pan-fried abalone. The head chef had worked at 5-stars hotel before. Please manage and redeem your purchased vouchers via OpenRice Mobile Web or App. Under "My OpenRice > My Voucher"
This Voucher cannot be resold or transferred to others. This Voucher can only be redeemed once during the valid period. This Voucher is a business transaction between the User and the Merchant. The Merchant is solely responsible for honoring the products and services as stated on the Voucher. OpenRice is not liable for any losses or deletion of the Voucher by mistake. Valid for 18:00 to 22:00 from Monday to Sunday, dine-in only. Please contact merchant in advance for special days / festival delivery arrangement and opening time. Subject to $28 service charge, pay to restaurant by cash upon redemption. Must redeem min. 2 vouchers concurrently. At least 1 day prior reservation. Menu items are subjected to change due to availability without prior notice. Selected offer and redeem location cannot be changed after purchase. The voucher cannot be used in conjunction with any other discounts and promotion. In case of any disputes, the decision of merchant shall be final. The picture and image provided by merchant, for reference only. 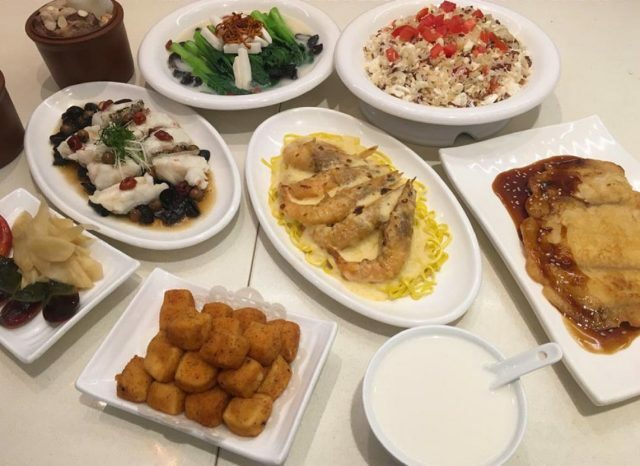 OpenRice is now the most favorable and popular Dining Guide, helps you find best restaurants and local cuisines in Hong Kong by providing comprehensive dining information, restaurant reviews and ratings.